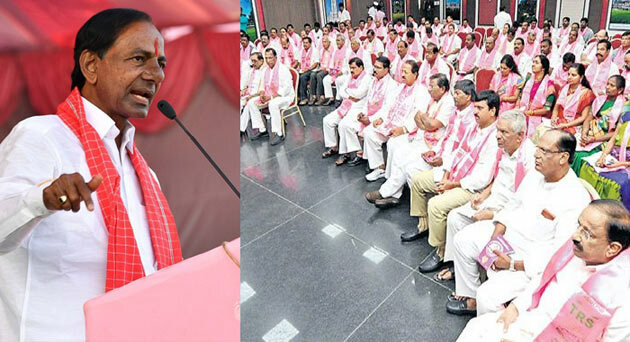 KCR's Ultimatum To 40 TRS Candidates? Telangana CM K Chandrasekhar Rao relies on the reports of Survey Agencies either for estimating the productivity of Party MLAs or the winning chances of TRS Candidates. Survey Agencies which predicted 100-plus seats for TRS prior to dissolving of Assembly have stunned the TRS Leadership after the formation of Grand Alliance. Doubts have been raised over the winning chances of 40 out 105 MLA Candidates of TRS. KCR had called for a meeting with all the MLA Candidates to make them aware of the latest survey. If the buzz is true, KCR will ask the 40 MLA Candidates to obtain the faith of voters in their constituencies within 20 days. 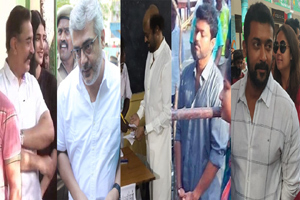 He could even replace few of them if their winning chances doesn't improve by the end of next survey. KCR might opt for such a move after all the Opposition Parties announce their candidates. Losing 40 out of 105 Seats is almost like losing power. TRS Leadership should make the right moves to deny any such opportunity for the Opposition. Viral Video: Amritsar Train Accident! R Krishnaiah To Join Hands With Congress?